Uptown Funk (feat. 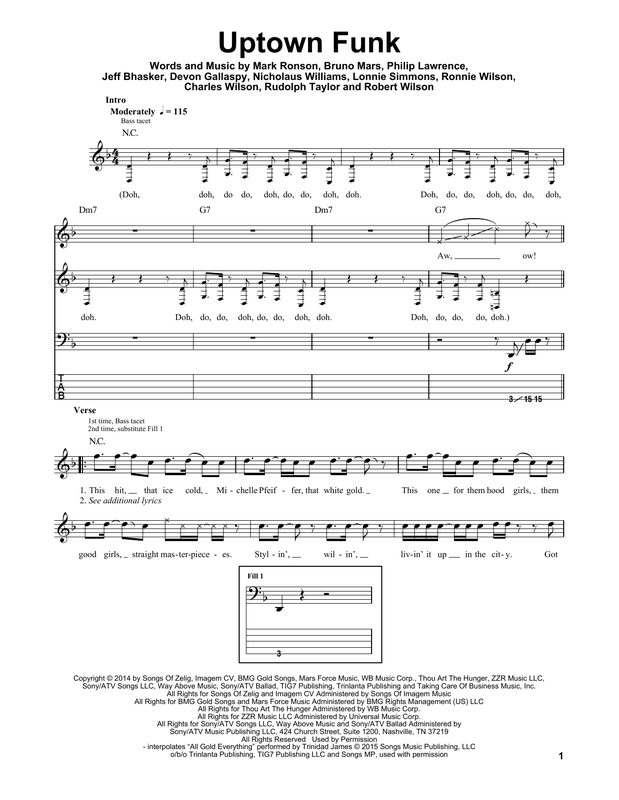 Bruno Mars) bass tab, as performed by Mark Ronson. Official, artist-approved notation—the most accurate guitar tab transcriptions on the web. Need help reading standard notation or tab? See our notation legend. Or if you need beginner bass guitar lessons online, try these.